Phillipe Aumond and Camille Boivin from Quebec, Canada were devastated when their 3-year-old son Jacob was diagnosed with Type 1 diabetes. 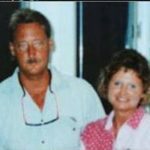 He needed to get five insulin injections per day just to steady his blood sugar levels. Just a year later Jacob was given an automatic insulin pump which provided the exact needed amount of insulin and had to be worn at all times. As Jacob was already 4 years old he was starting to ask questions and wonder why he had to wear the insulin pump and be different from everyone else. His parents realized it made him feel really sad and alone in the world so they decided to do something about it. 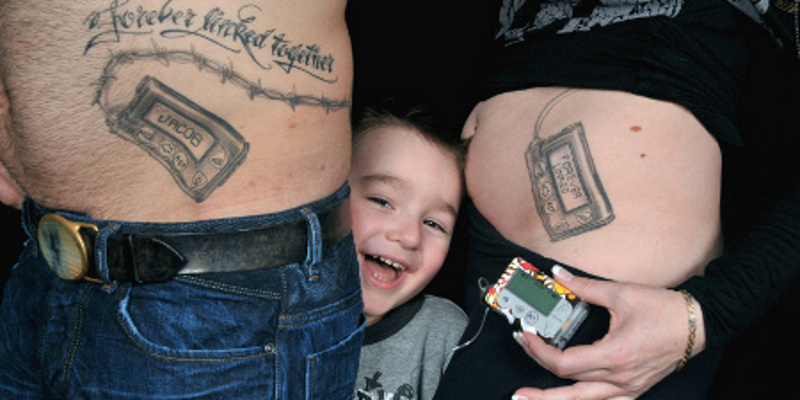 The Canadian couple found a tattoo artist to re-create Jacob’s pump and ink it on both of their bellies – the exact spot where their son was wearing his. By this act of love the parents wanted to show Jacob that he is not alone in the world and they are “forever linked together” to each other and to the pump as well. Jacob was thrilled by the result and his mom, Camille, shared that the boy tends to lift his parents shirts to show their tattoos each time anyone talks to him about the pump. However, the insulin pump was not easy to provide as its cost alone was $6,800 and the month cost for glucose monitoring is $500. Jacob parents organized a fundraiser in order to gather the money by selling $5 wristbands with the message ‘Together for Jacob’ on them. Camille managed to raise more than $15,000 and she gave the rest of the money to another family in the region who was also trying to provide an insulin pump for their diabetic son.